Those of us who incorporate the Health At Every Size® approach in our work and personal life continually run up against the over-culture that hates larger bodies, dictates weight loss as the path to health, declares all fat bodies are automatically sick bodies, and holds that if you don’t agree then you don’t care about yourself, the children, the economy or global warming. It’s as though everyone, except HAESSM practitioners, are haters and part of a larger conspiracy to eliminate the fat body. I recently had lunch with a colleague of mine. Both of us work in an elementary after school program focusing on health and wellness. While she could appreciate my HAES point of view, and knew I cared about the kids we worked with as much as she did, still she could not get past her fear for the children that she believed to be at risk for disease because of their high weights. She felt very strongly that we would be irresponsible if we did not teach them how to lose weight. I imagine this is a familiar discussion for many of us, and there are many ways to respond. I could remind her that we actually don’t know how to teach anyone to lose weight permanently, or that the odds of a child developing an eating disorder are far greater than the odds of that child developing diabetes. I could point out that children of all sizes eat the same lunch in the cafeteria and play on the same playground. I could share information on how socio-economic status, genetics, environment and stigma impact the physiological development of a body. In fact, in past discussions I have brought all of this to the table. It seemed to me that she simply wasn’t hearing what I was saying. But I realized that it was I who wasn’t listening. It isn’t about the statistics or disease. It is about fear. Fear that if we do not comply with the over-culture we will harm our children. And speaking as a parent, there is no fear greater. So maybe we should take the opportunity to reframe their fears and then re-imagine those outcomes defined by fear as outcomes defined by hope. We shouldn’t fear that children won’t eat the right thing, but rather that they will go hungry and have no access to healthy food; so we are motivated by hope to provide better sustenance for our children. We shouldn’t fear that our children will sit in front of video games all day, but rather that they will not have safe places to play outside; so we are empowered by hope to curb violence in our communities. We shouldn’t fear that our children will be bullied because their bodies are different, but rather that they will never realize their true awesomeness; so we are fueled by hope to create a community of belonging and love. 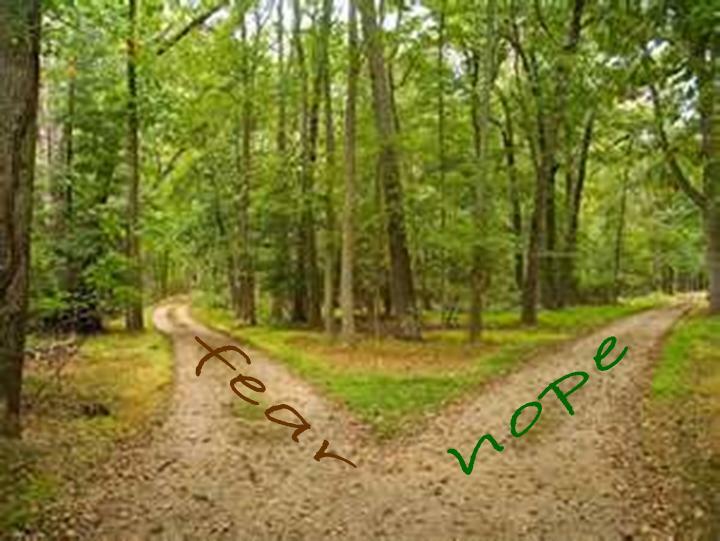 These fears are not unfamiliar to those of us who embrace the HAES model. We’ve all traveled the fear road. 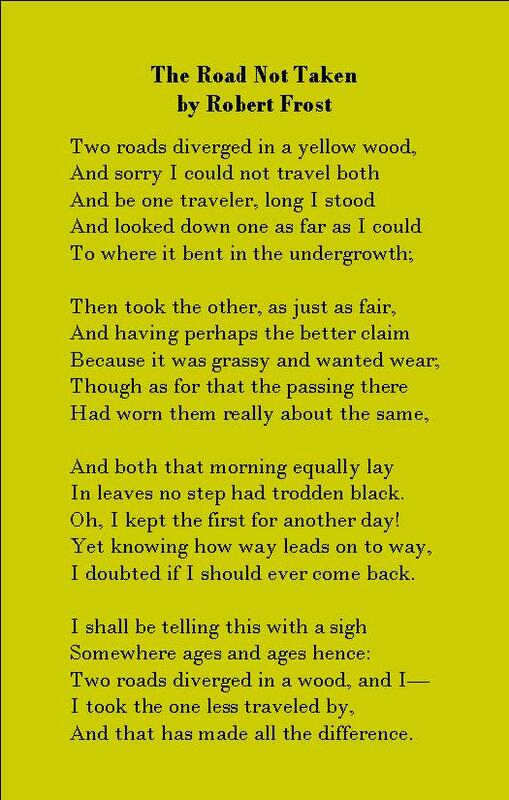 But unlike the traveler in Robert Frost’s poem, we did come back to where the two roads diverged in that wood, and this time we “took the one less traveled by”: Hope. And that can make all the difference.